Hi all - floresita here to introduce our first new blogger on Feeling Stitchy - Michelle! On her blog, Mooshie Stitch, Michelle does some amazing, detailed stitch work with Take a Stitch Tuesday stitches and other talented projects. We are very thrilled to have her here at Feeling Stitchy with her first Mooshie Stitch Monday post - tune in every other Monday to hear from her! Welcome, Michelle! Welcome to the beginning of my adventures with whitework embroidery! I am a total newbie. Whitework has always intrigued and intimidated me. Especially cut work and drawn thread work. When I was reading about different techniques, I came across Mountmellick whitework. The Mountmellick style - named after the town Mountmellick in Ireland - focuses on creating texture using many traditional stitches (including stem, buttonhole, satin, and french knots). It is typically stitched on cotton fabric with sheen and matte cotton threads. Since I was already familiar with some of the stitches used, I decided to focus on learning Mountmellick. There are three stitches unique to Mountmellick: the Mountmellick Stitch, Mountmellick Thorn Stitch, and Cable Plait Stitch. Let's start with the Mountmellick Stitch. I found this great video tutorial on the Needle n' Thread website. It was easier for me to keep the stitch even by drawing lines as a guide. 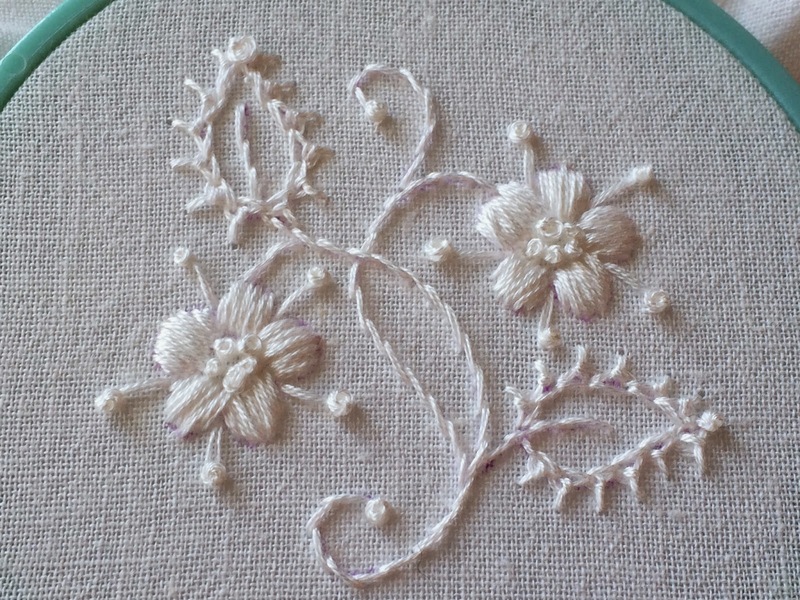 To practice some whitework stitching, I decided to start with a very small floral pattern. 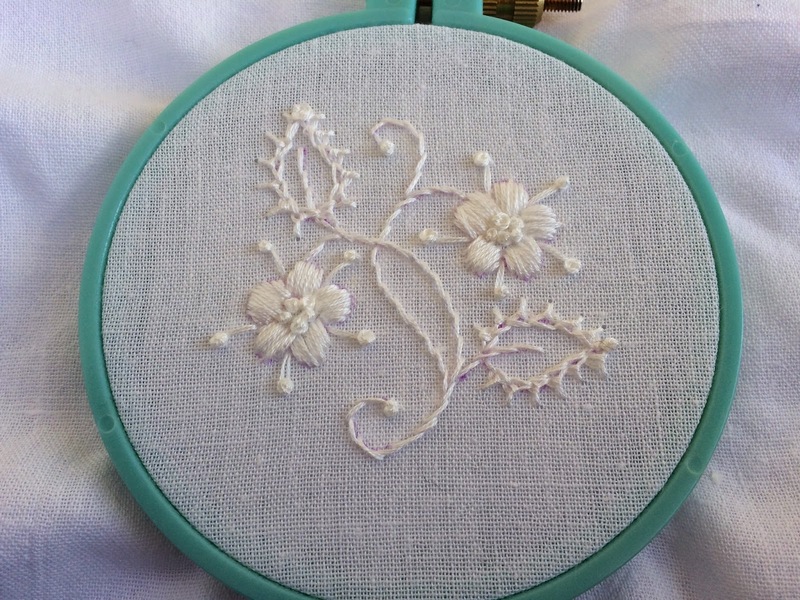 Stitched with: french knots, stem, satin and Mountmellick stitch. I did not follow the "rules" of stitching on sheen fabric with matte cotton. I used regular DMC floss (Blanc) and a tea towel. Although, I wish I used different fabric. I was stitching very tight - which I tend to do and need to work on - so there are holes in the fabric from my pulling the stitches too tight. Oh well! It's a learning process! Next time: I will tackle Mountmellick Thorn Stitch. Do you have any advice for someone new to whitework?? I would love to hear from you - leave a comment! 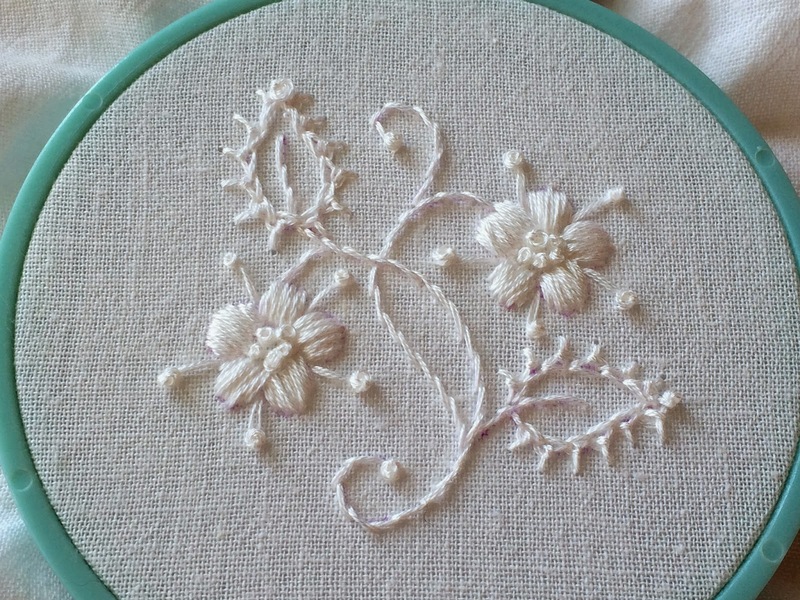 Are you currently stitching some whitework also? 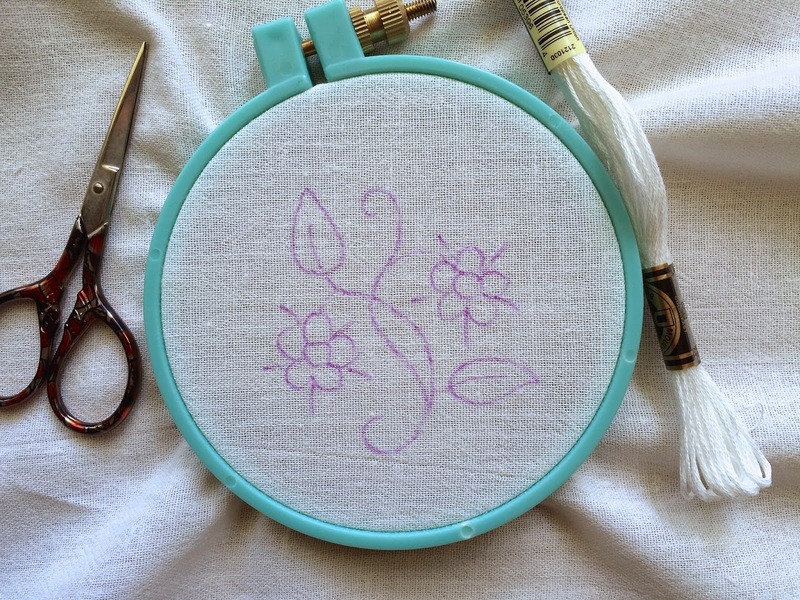 Post your project photos in the Feeling Stitchy Embroidery Group on Flickr! Hi Michelle! That was very interesting and I love the new stitch you showed us. Your white work turned out beautifully! It's hard to believe it's your first time at it, but i guess it's not that different from embroidery which I'm sure you're a master at :) I look forward to what you're teaching next and visiting your site! very cool stitch! and i love your white work piece too...all too often i get caught up in using so much color (which i love) that this was a great reminder and inspiration of the simple loveliness of the white on white. :) after reading your post, i searched for examples of mountmellick embroidery. so pretty! thank you for introducing me to something new to try. and welcome to feeling stitchy! 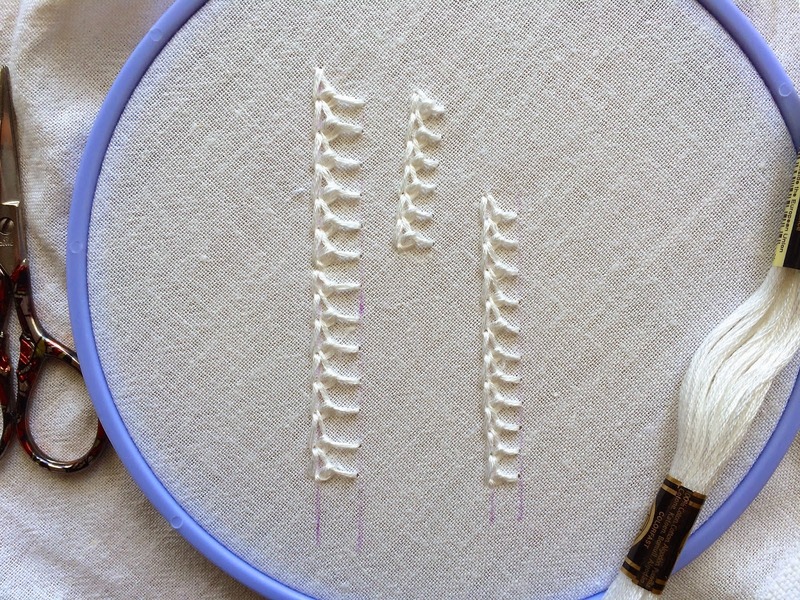 Thanks for introducing us to this unique stitch--I'd never heard of it before! super cool beautiful art i really appreciate it......! !